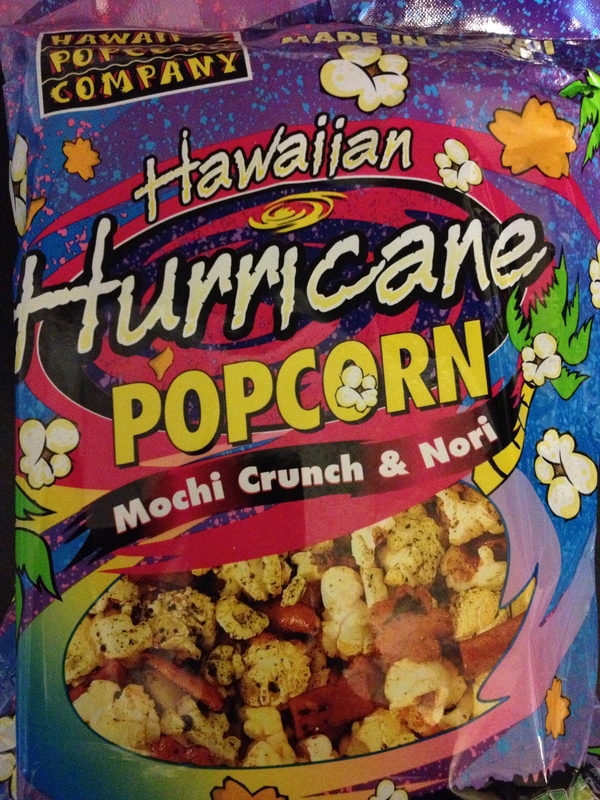 Well, if you've been to Hawaii or know any Hawaiian's, you might have tried or already know about "Hurricane Popcorn". It's like chocolate meeting peanut butter, sheer genius. Basically, it's a combination of deliciousness.... 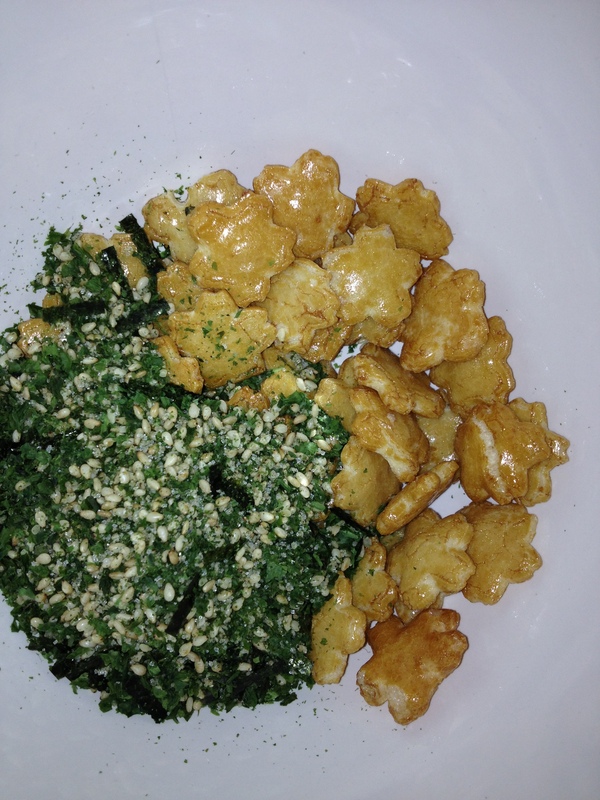 Popcorn, Yaki Mochi (Japanese rice crackers), Furikake (a type of Japanese condiment made with sesame seeds, seaweed, sugar, salt and lots of other stuff) and butter, lots of butter. I'm pretty sure it originated in some pushcart in Hawaii and now it's all the rage. 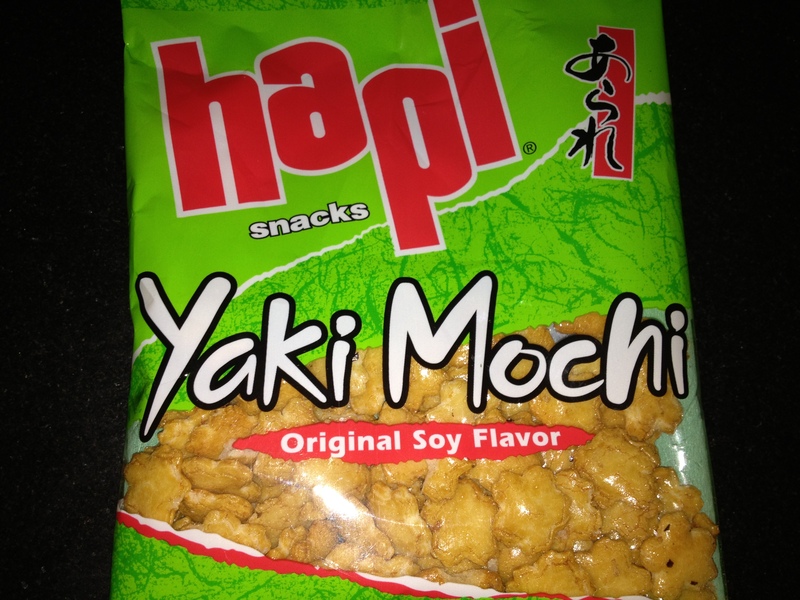 I always thought you had to get it in Hawaii but have recently discovered that you can buy it online. I decided that it's probably pretty easy to make so I decided to try it out myself. 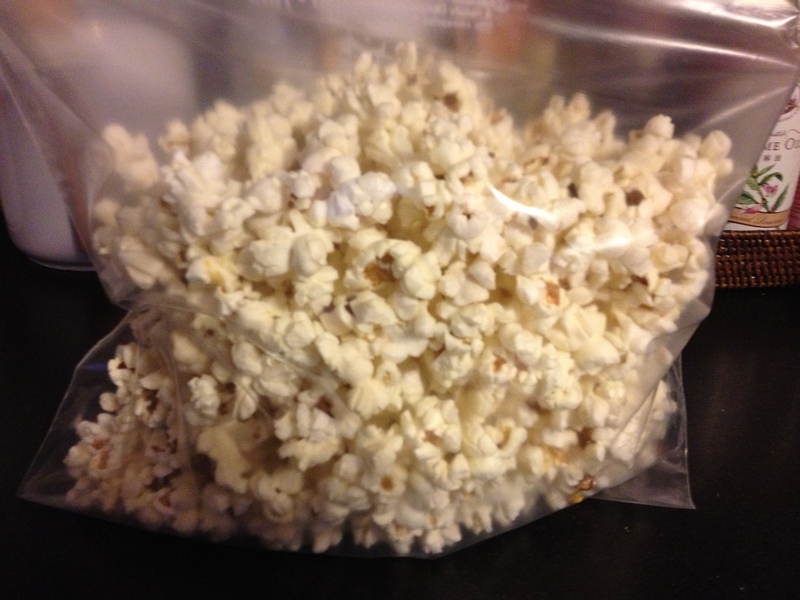 I made a real batch from the packaged brand and made my own and tested it out with my family, my sister-in-law and her family, and my cuz. I was so excited that they preferred my version (they said mine was a tiny bit sweeter and tasted like Kettle Corn with extra goodness!) So, here it is - feel free to add more of any of the separate ingredients if you like it crunchier or more buttery, there really isn't a wrong way to make this. 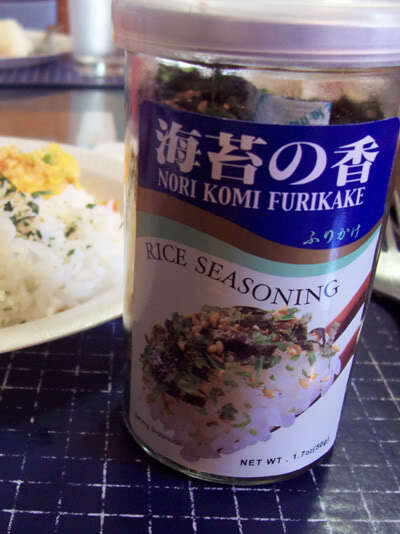 1/4 cup of Furikake (you can buy this at most Asian grocery stores) - They come in multiple varieties so just get the blue label one and you are good to go! 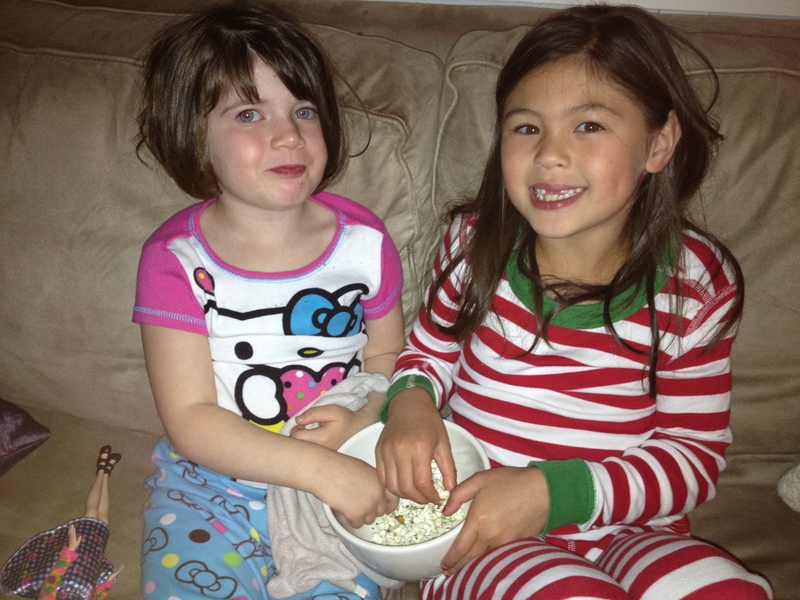 Microwave your popcorn according to it's instructions. 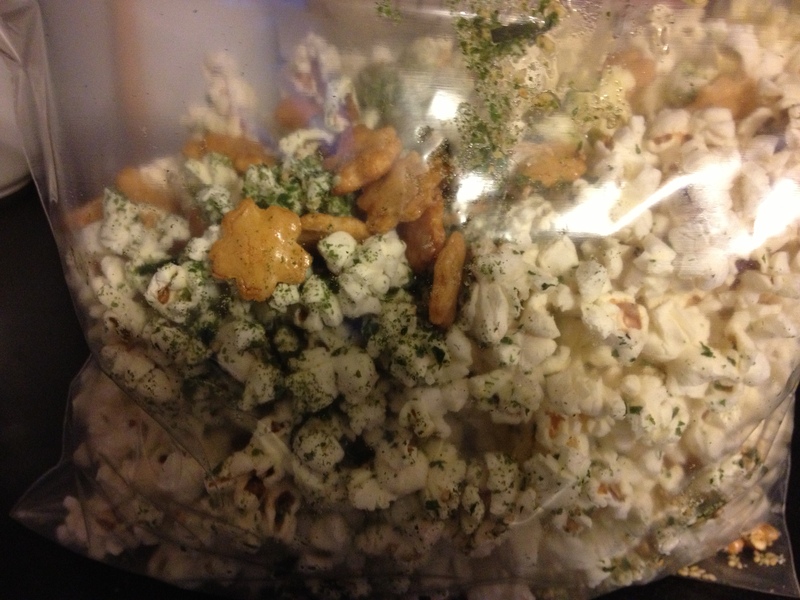 Next, in a large ziploc bag, add the popcorn, Furikake, Yaki Mochi, sugar and butter. Zip it up and shake until well combined. Enjoy!